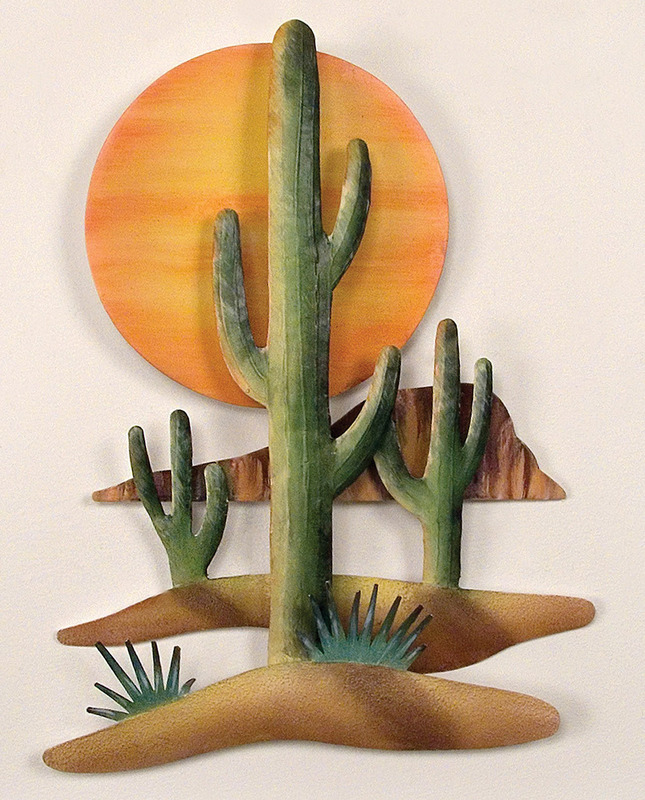 A Lone Star Western Decor Exclusive - Add the serenity of a sunset to your wall with this dimensional metal art with a desert cactus scene. Handcrafted and hand-painted. 12"W x 1 1/2"D x 16"H.